ATV Insurance Quotes Pennsylvania Great Rates! To an ATV rider, there might be nothing quite like taking a ride out in some sand dunes out in the middle of the desert, or blazing through the trees in the forest. Whatever the activity, there’s no denying that riding an all-terrain vehicle is fun. However, it can also be risky. With a good variety of coverage types available, you should be able to work with an ATV insurance provider to create a policy that can provide you with maximum protection. 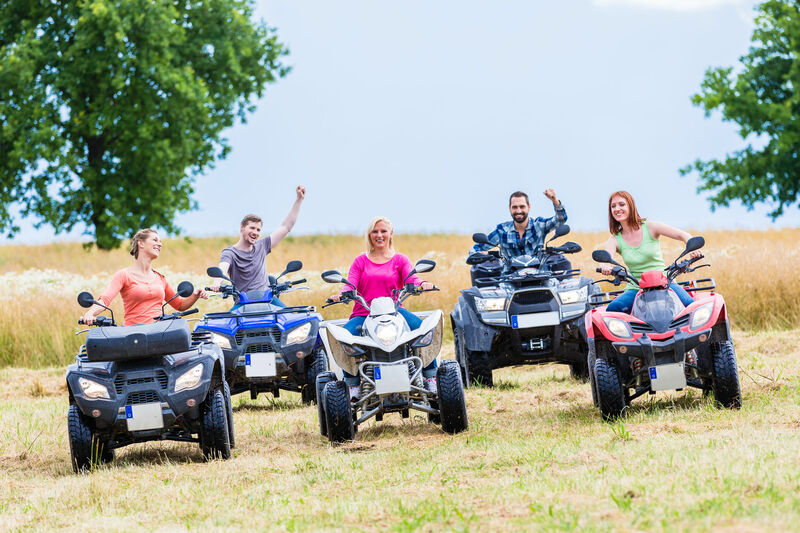 There are multiple types of coverages available that you can choose from to create a comprehensive ATV insurance policy. Bodily injury – This type of coverage with help pay for costs associated with injuries suffered by others in an accident for which you are responsible. Property damage – This coverage will help with costs relating to damaged property of others in an accident you cause. Collision – If your ATV is damaged in a collision, this coverage can help repair or replace it. Comprehensive – If your ATV is damaged in a non-collision incident, such as fire or vandalism, this coverage can help with repairs or replacement of your ATV. Medical payments – If you are hurt in an accident, this coverage can help you cover your medical costs. Keep in mind that not all insurance companies are the same. While the above are common ATV insurance coverages, some providers may not offer all of these. On the other hand, you might find that some ATV insurance companies will offer much more than the above. Make sure to find the right insurance provider that can offer you all of the coverage types that you need. ATV insurance is often sold as part of a broader range or insurance. For example, several companies sell ATV insurance through their motorcycle insurance divisions, while other companies might sell ATV insurance through an Off-Road Vehicle (ORV) insurance division. When getting an ATV insurance quote, think about which vehicles you might want to insure. Remember that many companies offer a discount for insuring multiple vehicles under one policy. Let Snyder-Eyster Agency help you choose a policy that will fit your individual needs. Protecting your assets, whether personal, business, or both, is our goal. A well-chosen policy can lessen the impact of some of life’s most common, yet unforeseen perils. We’re here to help when you are considering ATV coverage.